While surrounding buildings have been renovated, the Hotel Alexandra in the South End remains boarded up and an adjacent lot is empty. For more than two decades, the Hotel Alexandra in the South End has endured fire, foreclosure, and deadbeat landlords, and even defied the seemingly irresistible forces of gentrification. So neighbors cheered when in 2008 the Church of Scientology of Boston bought the once-grand five-story wreck for its new headquarters and promised to restore the Alexandra to its glory as one of Boston’s more unusual and architecturally significant historic buildings. But six years later, it remains blighted and boarded up. Short of money, the Scientology church moved to temporary quarters in Quincy while it scales back its ambitious renovation, leaving South End neighbors suffused with an all-too-familiar feeling of frustration. Boston Scientologists said they are drawing up plans for a less elaborate renovation and expect to finish within two years. Earlier this month, the city agreed to delay a scheduled public hearing on the building’s zoning until December. 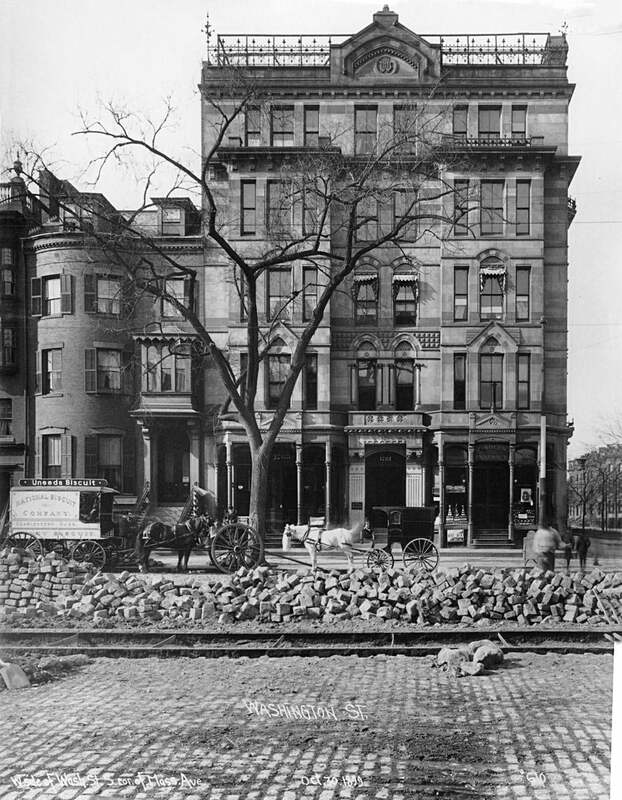 In the late 1800s, the Alexandra was home to wealthy Bostonians, with unheard-of luxuries such as a primitive elevator powered by a giant piston connected to the city’s water main. The 1875 late Gothic building is in the South End Landmark District, which requires that its colorful sandstone facade and cast-iron details be preserved. That challenge is reflected in the church’s original price tag for restoration, a hefty $17 million. An empty lot adjacent to Hotel Alexandra. Even a lesser renovation could prove to be difficult to finance. Because Scientology policy forbids borrowing money, the church is unusually dependent on its parishioners to pay for its works. The church insists the Boston project will move forward. “It’s a labor of love,” said Marc LaCasse, the church’s real estate attorney. “They’ve encountered obstacles . . . but they’re totally committed to the Alexandra,” noting the church has already spent $1.5 million on the project. Kevin Hall, a spokesman for the Boston Scientologists, said representatives of the international Church of Scientology visited Boston this summer to reassess the selection of the Alexandra site. Ultimately, they agreed the project should go forward, he said. 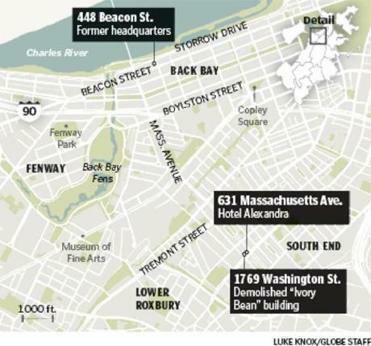 The Church of Scientology of Boston bought the Alexandra and the adjoining “Ivory Bean” rowhouse at the corner of Massachusetts Avenue and Washington Street for $4.5 million but had to tear down the Ivory Bean in 2011 after bricks from its facade fell onto the sidewalk. The renovation was to be funded by the sale of the church’s former headquarters on Beacon Street. But the economy was tanking when that property went on the market in 2008, forcing the church to hold out until last year, when it sold the building for $10.5 million. Even so, the church admits it does not have enough money to begin renovations on the Alexandra. 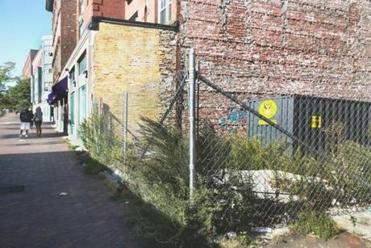 A spokeswoman for Mayor Martin J. Walsh said that because the Alexandra is private property, the city has limited power to intervene. “Our hope is that this space is transformed and re-activated, for residents and visitors alike to enjoy,” said spokeswoman Kate Norton. Meantime, neighborhood groups said several developers have approached them about buying the building, including one who wanted to turn it into a boutique hostel. “There are several suitors out there who are ready to go,” said Bud Larievy of the Chester Square Area Neighborhood Association on Massachusetts Avenue. But LaCasse said the building is not for sale and called the suggestion that other developers would be better-equipped to save the Alexandra laughable. “Every engineer and preservationist that has gone into the building said, ‘Oh God, this is far worse than we thought,’” said LaCasse. 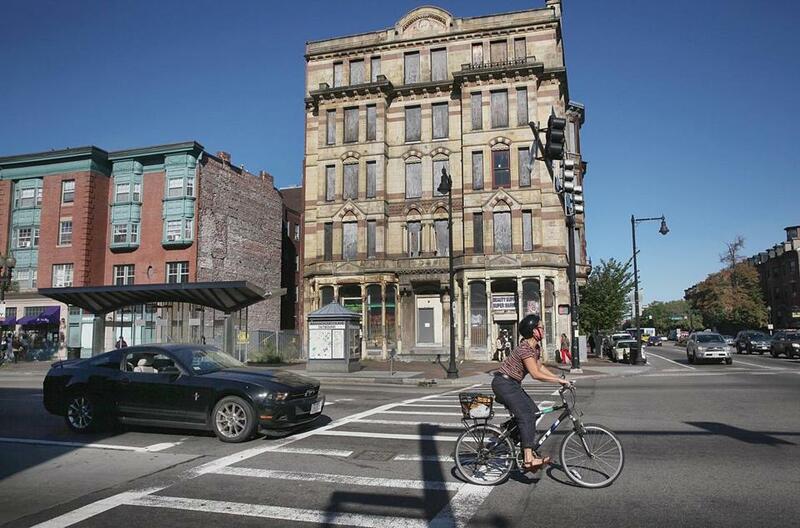 Saving the Alexandra would be a monumental task for any developer. Except for a beauty supply store on the ground floor, the building’s interior is devastated and will need to be almost completely rebuilt. Its floor plates are pocked with holes, its structure needs to be reinforced, and historic carved moldings and wrought iron details were stripped away or burned. The ornate exterior is in better condition but will also require repair. The Church of Scientology has a track record of transforming similarly dilapidated properties in cities such as New York, Washington, D.C., and Madrid. But local branches must raise the funds for such projects themselves, and Hall acknowledged the Church of Scientology of Boston is much smaller than the religion’s major centers in California and Florida. After subtracting expenditures so far from sale proceeds and donations, the Boston church has about $11 million in hand, he said. A lawsuit filed against the Boston Scientologists shows the local church had trouble with another real estate deal. The owner of a building in the Newmarket industrial district that the Scientologists were targeting as a temporary headquarters sued the church in September in Suffolk Superior Court, contending the church reneged on a lease. The complaint, by DDJB Real Estate Holdings LLC, paints a picture of a disorganized church that delayed and revised agreements before pulling out of the lease altogether, citing the stench of a nearby garbage station. At one point, according to the lawsuit, the Scientologists asked DDJB Real Estate Holdings to sharply lower the renovation cost and offered to have its parishioners supply materials and do most of the work themselves to save money. The Scientologists forfeited $86,591 in deposits when they broke the lease, the lawsuit said. DDJB is asking the court to award it thousands of dollars in damages. For now, the Boston Scientologists have relocated to an office on Hancock Street in Quincy. The neighbors’ impatience over the Alexandra predates the Scientologists’ ownership. Previous owners repeatedly promised but failed to rehabilitate it — one was even briefly jailed for contempt when he failed to secure the building after a fire in 1993. But neighbors are also angry at what they call a lack of communication. Larievy said he sent a letter to the church in March about the Alexandra but never received a response. In September, after the Globe asked LaCasse about the letter, Larievy said the church called him and offered to meet with South End residents next month. Their frustration is particularly acute because the surrounding neighborhood has dramatically improved, making the rundown Alexandra an even more prominent eyesore. In the late 1800s, the late Gothic Hotel Alexandra was home to wealthy Bostonians, with unheard-of luxuries such as a primitive elevator powered by a giant piston connected to the city’s water main. Deirdre Fernandes of the Globe Staff contributed to this report. Dan Adams can be reached at dadams@globe.com. Find him on Twitter at @DanielAdams86.